Originally published under the title, "From Broken Hill to Martin Place: Individual Jihad Comes to Australia, 1915 to 2015." 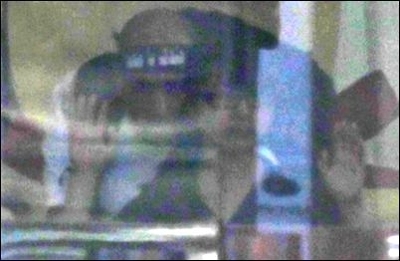 Jihadist gunman Man Haron Monis, seen through a window holding a hostage during the December 15 siege at Martin Place, Sydney. 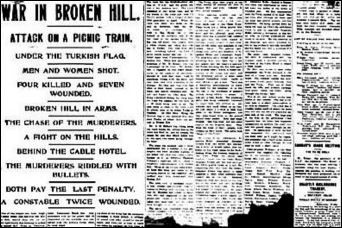 One hundred years ago today, a lethal jihad attack was staged against New Year's Day picnickers in Broken Hill, Australia. This attack and the recent Martin Place siege, events separated by almost exactly a century, show striking similarities. For Australians, the anxious question about the Martin Place attack, which has grabbed the attention of everyone, is whether this atrocity is but a harbinger of a further series of deadly attacks on Australian soil, or whether it will pass into memory as an exceptional one-off event, much as the 1915 New Year's Day massacre in Broken Hill did. On New Year's Day, 1915, two Muslim men, Bashda Mahommed Gool and Mullah Abdullah, shot and killed four people and wounded several others before finally being killed by police. They had both come to Australia more than a decade previously. From The Barrier Miner, January 1, 1915, p. 2. Beginning in 1860, many Muslim cameleers came to Australia to help open up the arid outback. Today a famous train from Adelaide to Darwin is known as "The Ghan" to commemorate the contribution of the "Afghans" – as they were known (although they came from many different places across the Middle East and South Asia) – to the development of Australia. The jihad attack was staged against a picnic train which was taking 1200 picnickers out on a New Year's Day in open ore trucks. Bashda Mahommed Gool and Mullah Abdullah first made enquiries at the station beforehand to make sure they would be in the right place at the right time to attack this particular train. They then positioned themselves on the side of a hill around 30 meters from the tracks, and opened fire as the trucks passed. Among the victims was Alma Cowie, aged 17, shot dead. In November 2014, Shaykh al-Islam Ürgüplü Hayri, the highest religious authority of the Ottoman caliphate, issued a fatwa calling on Muslims around the world to wage holy war against the allies. By the end of the incident the jihadi cameleers had themselves been killed by police. The two were found to have left notes to explain that they were responding to a call to jihad issued by the Ottoman Caliphate (on 11 November 1914). Allah has purchased of their faithful lives and worldly goods, and in return has promised them the Garden. They will fight for His cause, kill and be killed. The jihadi cameleers left notes to explain that they were responding to a call to jihad issued by the Ottoman Caliphate. The enfiru verse calls upon Muslims to "go forth" for jihad, or else face a painful doom under the judgement of Allah; better to fight as a martyr and go to paradise than burn in hell for hanging back. They must know that the killing of infidels who rule over the Islamic lands has become a sacred duty, whether it be secretly or openly, as the great Koran declares in its words: "Take them and kill them whenever you come across them, and we have given you a manifest power over them by revelation. [Sura 4:91]. This fatwa goes on to define three different forms of jihad, including "individual jihad," in which an individual Muslim attacks an infidel in a solo act. It names contemporary examples of attacks on Westerners in colonial contexts which were familiar to Muslims at the time, including the killing of an English governor, Peter Galy, as well as the assassination of an English chief of police in India. The fatwa suggests the use of "cutting, killing instruments". It also cites as a precedent the assassination of certain Jews by Muhammad's companions. [L]et every individual of the Muslims in whatever place they may be, take upon him an oath to kill at least three or four of the ruling infidels, enemies of Allah, and enemies of the religion. He must take upon him this oath before Allah Most High, expecting his reward from Allah alone, and let the Muslim be confident, if there be to him no other good deed than this, nevertheless he will prosper in the day of judgment. The two "Afghan" jihadis of Broken Hill, according to their own testimony, acted in accordance with such instructions: they went out to kill infidels as an act of individual jihad. [T]he most profitable of them is that which makes use of secret formations, and it is hoped that the Islamic world of today will profit very greatly from secret bands, and therefore it is in the degree of duty to him who wishes to participate in the Jihad that he should take council with people of experience in the formation of secret bands and gain profitable information of this kind. "Jihad by bands" is the mode of Al-Qa'ida. The third recommended form of jihad is "jihad by campaigns", which is warfare using armies directed by the Caliph. This is the mode the self-declared caliphate known as the Islamic State is following today. Alma Cowie, killed in Broken Hill 1915, and Katrina Dawson, killed in Sydney 2014. The phenomenon of individuals launching a personal jihad against non-Muslim infidels is nothing new. The precedents in the life of Muhammad are well-known and some of these were cited in the Ottoman Universal Proclamation. 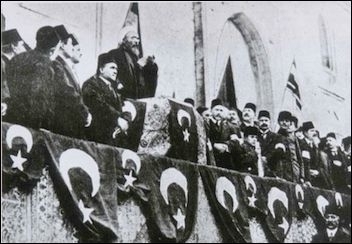 As the Ottoman fatwa indicated, the phenomenon was already a thorn in the side of colonial authorities a century ago. In the Dutch occupation of Aceh, the phenomenon of individual Muslims killing Dutch people was frequent enough to be given a name, Atjeh-moorden "Acehnese murders". The Dutch authorities conducted investigations into the mental state of perpetrators of such attacks. This was not always easy: because the attacks were mounted with the intention of "killing and being killed" to attain martrydom, only a minority of attackers survived in a fit state to be investigated. The Dutch wrestled for decades to understand the phenomenon. The psychiatrist R.A. Kern conducted a study of Atjeh-moorden and concluded that while Islamic theology accounted for the common pattern of the murders, this was not enough to determine which particular individuals might be triggered to mount such attacks: for that one needed to look to the personal circumstances of the individuals. Nevertheless, repeated psychiatric studies of perpetrators showed that they were not mad. David Kloos summarized their findings: "Over the years, a consensus had formed among the Dutch that the Ajteh-moorden were committed deliberately, in 'cold blood' and thus 'rationally'." Going for individual jihad was not normally a symptom of mental instability. There are striking parallels between the Broken Hill massacre a century ago, and the recent Martin Place siege. In both cases the media puzzled over the motivation of the attackers. The Barrier Miner wrote in 1915 "The question has been asked over and over again, and by many people since yesterday morning's tragic occurrence, as to the motive of the men in attacking the picnic train with its load of women and children..."
The attackers in both cases had resided for many years in Australia and were well-known in their communities. Both attacks were individual acts; although the 1915 attack by two individuals working together, they were not part of a larger network of jihadis, but were merely combining their individual efforts. In both cases the attackers subscribed to the dogmas of jihad in the path of Allah, and martyrdom in Holy War. In both cases, attackers were mobilized in response to a global call to jihad: in 1915 issued by the Ottoman Caliphate; in 2014 issued by Islamic State. Both global calls to jihad had specifically invited Muslims around the world to commit individual acts of jihad by killing infidels (see here on the Islamic State's call to Muslims to run over infidels with their cars). In both cases the perpetrators had been experiencing difficulties with the law: in the 1915 massacre, Mullah Abdullah had been convicted days before for slaughtering sheep on an unlicensed premises. In the Martin Place siege, Hojat al-Islam Muhammad Hassan Manteqi (AKA 'Sheikh' Man Haron Monis) was facing criminal charges as an accessory to the murder of his ex-wife and had a history of convictions for serious offenses. In both cases the media took pains to point out that the majority of people in the Muslim community abhorred the killings, and reported that no-one from the Muslim community wished to claim the bodies (see here and here). In both cases there were no reprisals against Muslims. However the Broken Hill German Club was burned down in 1915; the killings were considered to be linked to the World War I conflict as a whole, rather than as manifestations of individual jihadism. Michael Wesley, professor of International Relations and director of the School of International, Political and Strategic Studies at the Australian National University confidently wrote in The Australian that "this is a new and more dangerous form of terrorism," which he called "third-generation" terrorism. According to Wesley, "first-generation" terrorism only appeared in the world in the 1960's, "second-generation" terrorism in the 1990's, and this, in its turn, "morphed" into "third generation" terrorism, which we are experiencing today. Individual jihad ... [is] an old, old form of warfare, as old as the origins of Islam itself. The Ottoman fatwa writers knew their Koran and were qualified to draw conclusions from it. Is individual jihad really a new phenomenon? Nothing could be further from the truth. It is, on the contrary, an old, old form of warfare, as old as the origins of Islam itself. The Ottoman fatwa writers knew their Koran and were qualified to draw conclusions from it, which did not differ from the long-established mainstream of Islamic teachings about jihad. To discuss such things the term terrorism is inadequate and even misleading. It confuses experts like Professor Wesley, who attempt to lump the Martin Place siege into a conceptual grid which includes the IRA, in apparent ignorance of the well-documented history of jihadism. Also misleading is the widely used term lone wolf, which implies social disengagement and dysfunction, including disconnection with the broader jihadi movement. This very Western secular construct overlooks the considerable attention in Islamic jurisprudence to the idea of warfare as an "individual obligation" (fardh al-'ayn), which is incumbent upon Muslims as individuals, even if they are not enlisted in a jihad army. The West puzzles and puzzles over jihad. The Martin Place hostage taker "Sheikh" Monis certainly seems to have been a very unpleasant individual, and many have been tempted to write him off as crazy. However what fascinates and terrifies most is the utter ordinariness of so many jihadis. Here in Australia article after article has been published in the media pointing out how normal the young men are who have joined Islamic State. We have read how they enjoy social media, made YouTube videos, do well at school, are liked by their friends, go partying, have girlfriends, support local football teams etc. And all this is related to us as if it was the most amazing news. Given the terrifying ordinariness of the jihadis, it is tempting to apply pejorative labels to them, to write them off as deranged misfits. This is an attempt to marginalize the problem. Australian foreign minister Julie Bishop called it 'idiotic' to refer to those who die in jihad as martyrs. However such attempts to push the jihad phenomenon to the edges of our rational world are doomed to fail. Instead the same question keeps arising, like a persistent itch, that the Barrier Miner put on January 2, 1915: "The question has been asked over and over again, and by many people since yesterday morning's tragic occurrence, as to the motive of the men in attacking the picnic train with its load of women and children." This question will simply not go away. In reality, the will to 'go forth' for jihad is not a manifestation of craziness – many of its actors are entirely sane. It is not a manifestation of stupidity – many of its actors are quite intelligent. It is not a manifestation of social dysfunction or poverty – many of its actors come from stable and wealthy homes. It is not a manifestation of weirdness – many of its actors are quite ordinary. Nor is it a manifestation of "morphing" trends in international relations – jihadism is as old as the hills. Jihadi terror is a manifestation of Islamic theology. Despite the fact that so many Muslims reject jihadism, and millions of Muslims can be counted among its victims, this remains as true today as ever it has been. Yet this is something the West remains disturbingly ill-prepared to accept, engage with, or address appropriately. We stubbornly continue to seek worldview solace in misplaced explanations. Australians are right to be deeply concerned about the Martin Place incident. History will show that this was not a one-off blip in the peaceful lives of Australians. It will certainly not take another hundred years before more Australians die at the hands of Australian jihadis on Australian soil. Such future tragedies may eventually compel us to revise and reject our inadequate worldviews. Until then it seems we must continue to wear our self-imposed blindfolds, all the while trying to defend ourselves against an enemy we cannot see and stubbornly refuse to understand. This is almost certainly a reference to the assassination of Boutros Ghaly in 1910. Ghaly was a Coptic Christian and prime minister of Egypt at the time, when the country was a de facto English protectorate although formally under the Ottomans Sultanate. The assassin was Ibrahim Nassif al-Wardani, a graduate in pharmacology from a privileged Muslim background, who been educated in Lausanne, Paris and London. This was the first of a series of assassinations in Egypt which continued up until the start of WW I. Prime Minister Boutros Ghaly was the grandfather of Boutros Boutros-Ghaly, the former secretary-general of the United Nations, after whom he is named. See Reid, Donald M. (1982). "Political Assassination in Egypt, 1910-1954". The International Journal of African Historical Studies 15 (4): 625–651. David Kloos, 'A crazy state: violence, psychiatry and colonialism in Aceh, Indonesia, ca. 1910-1942'. Bijdragen tot de Taal-, Land- en Volkenkunde 170: 25-65.